The Defense Threat Reduction Agency’s (DTRA) CBEP objectives are to cooperatively assist partner nation governments to prevent the proliferation of nuclear, chemical and biological weapons. CBEP, focusing on the biological agents, provides education and training to enhance clinical, laboratory and epidemiological safety and security with regard to especially dangerous pathogens. CBEP also works to strengthen the partner nation’s detection, diagnostic and reporting systems, as well as fund and conduct academic and scientific research on especially dangerous pathogens. As part of the CBEP support team, Toeroek provides scientific, technical, and administrative experts for reducing or eliminating the threat from CWMD in partner countries around the world. Our scientists provide technical assessments for clinical capabilities and diagnostics, biomedical research, biosurveillance, and biological infrastructure to emerging and established biological threat reduction programs in Ukraine, Kazakhstan, Georgia, Azerbaijan, Armenia, Cambodia, Thailand, and multiple countries in Africa, resulting in decreased global threats from biological agents. Toeroek provides direct Stockpile Management support and coordination among the Navy, Air Force, Department of Energy, and other stakeholders to ensure the stockpile is managed to the President’s directives and that the DIAMONDS database is accurate and up to date. Toeroek also supports the ongoing development of the Nuclear History database, which provides authorized users with digital access to the historical status of every US nuclear weapon manufactured since WWII. 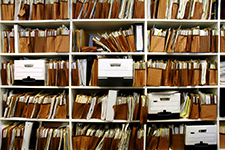 Weapon codes from paper records are entered into customized forms, and then checked for quality prior to upload into the classified database. As an integral part of a Knowledge Management (KM) team with Booz Allen Hamilton, Toeroek developed DoD and NARA compliant file structures, digitized historical paper records, migrated records into a comprehensive SharePoint-based KM IT environment, and trained users in procedures and protocols for the new KM/Records Management systems. Toeroek also prepared for and supported successful DoD and NARA audits of the file structures and procedures, which resulted in the first NARA-compliant electronic records system within DTRA. 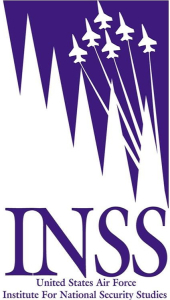 INSS serves as a locus for research related to security studies, emphasizing topics in the fields of strategic security, international treaties and agreements, and combating proliferation; homeland defense and combating terrorism; regional and emerging issues; air and space issues and planning; and information operations and warfare. Toeroek supports INSS through research, analysis, writing, editing, and publishing white papers and studies. Toeroek also supports development of courseware, training sessions, and conferences within INSS subject matter areas. The Joint Program Executive Officer for Chemical and Biological Defense (JPEO-CBD) provides research, development, acquisition, fielding, and life cycle support of Chemical, Biological, Radiological, and Nuclear (CBRN) Defense Equipment, Medical Countermeasures and Installation, and Force Protection Integrated Capabilities supporting the national strategies. The Joint Project Manager for Protection (JPM P), one of eight JPMs under the JPEO-CBD, provides the Department of Defense and other customers, such as the Department of Homeland Security and the Federal Bureau of Investigation, with the protection required to effectively conduct active combat, consequence management, and homeland defense operations in CBRN environments. JPM P develops, fields, and sustains CBRN protection and hazard mitigation capabilities for the nation. As part of the Camber team, Toeroek supports test program development for flight crew masks (fixed wing and rotary wing) that protect crew members from CBRN hazards in potentially contaminated zones. Toeroek’s support includes preparation of Test and Evaluation Master Plans (TEMP) and developmental testing at multiple Army, Navy, and Air Force installations.